Federal Premium ammunition is a top-of-the-line choice for your personal protection. This new production ammunition features the famous HST jacketed hollow point projectiles that weigh in at 150 grains. This heavy for the caliber projectile is specifically designed for micro or pocket sized pistols which commonly exhibit lower muzzle velocities due to their short barrel. The heavier projectile helps keep the recoil manageable and reduces the noise to a sub-sonic level. The HST bullet is one of the top choices for law enforcement professionals nation wide. These projectiles offer excellent weight retention and the perfect balance of penetration and expansion. 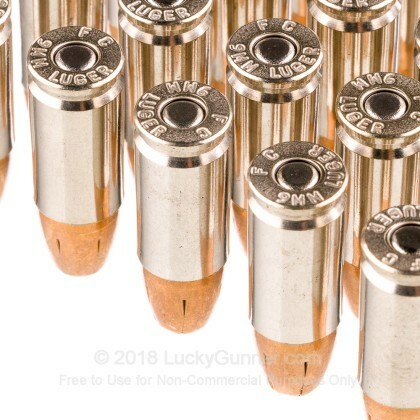 Each jacketed hollow point is designed not to "Plug" when passing through a variety of barriers in order to deliver the terminal performance required to stop a threat. These rounds are loaded into nickel-plated brass casings that come boxer primed and are re-loadable. Federal has been producing high quality ammunition since 1922. They are a member of Vista Outdoors who also manages several other big name outdoor companies. Federal is headquartered in Anoka, Minnesota and their ammunition is proudly made in the USA. Pick up a couple boxes of this Premium self defense ammunition today! Ballistic gelatin testing is one way to get an idea of how a self-defense load might perform in a real world self-defense situation. So we fired five rounds of Federal 150 gr Micro HST ***NEW*** from a Smith & Wesson M&P9c from a distance of 10 feet into a block of synthetic ballistic gel with a barrier of four layers of fabric simulating heavy clothing. We then gathered information on the expansion and penetration characteristics of this load. That data is represented in the chart below. 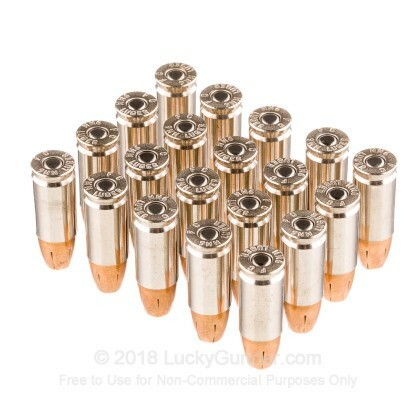 0.90" This ammo: 0.681" Min: 0.32" Median: 0.50" Max: 0.90"
16" 0" 5.6" 17.7" 47.5" This ammo: 16" Min: 5.6" Median: 17.7" Max: 47.5"
Good ammo. Will be my summer carry combo in a few months. Great performance in my Shield 2.0. Produced the tightest group I have ever shot with my Shield. Noticeably less felt recoil. I have started to carry with it and will be buying more. Very good overall round with mild recoil and low muzzle flash, feeds perfectly in my Glock 43, cycled about 3 twenty round boxes without any problems. Like the heavy weight for caliber and ballistics I find on YouTube are great. This is a great round. Foot pound energy is a little low but everything else is wonderful check it out you won’t be sorry. 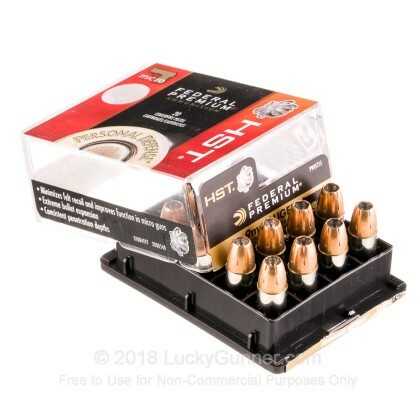 I was jazzed about getting some federal HST Ammunition for my Beretta 92FS. I bought 3 boxes to cover 2-15 round mags and 2-10 round mags. Little did I know that in the corner of the box it said MICRO. I went to the range to test fire 10 rounds. I had Failure to feed issues and everyone of them was failure to extract. I now know that it is made for smaller barrels and the slide for the 92fs is quite heavy. Rented a Glock 17 and 19, no problems. It just isnt the round for my pistol. It looks like a nice performer but not for my pistol. I resorted to Sig Sauer V-Crown 115 grn, no issues at all. Finally, can relax finding my load! All results in ballistic gelatin and accuracy at range, low recoil, makes this load a winner! I tried cheap 115 range ammo and was disappointed with the accuracy. I researched and found short barrel 9mm do better with heavy weight and non +p. I was able to scrounge this last box from a gun dealer. After weeks of research this is perfect for what I need. Decided to purchase some more before they disappear from LG. Always trusted LG for service and delivery. Pricey SD rounds though for a carry round it's worth it. Pricey as it may be it is prudent to practice with a carry round every few months in between regular range practices. 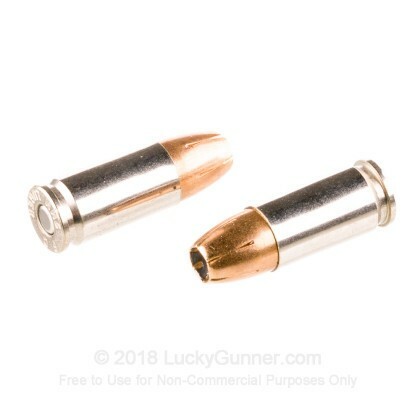 I have switched to these in my Glock 43. Worked flawlessly. Noticeably less recoil and flash than my previous round, Federal 147 grain HST. Luckygunner ballistic test shows better penetration and expansion plus easier follow-up shots. pricy, but for carry, it's worth it. I'd swear by the HST, in 9mm anyway. I switch between the 147+p and the 124 +p depending on what at the time I can come across, as it's a hard find. I use these loads out of my 5.31" barrel. For my 3.3 incher, I went with the HST micro load. More expensive, but I couldn't argue with the performance you showed me. 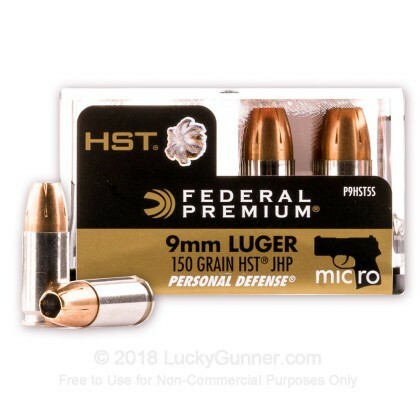 Another Great Round From Federal Premium, This Time For The Sub-Compact Crowd! I have about (20) of these "Micro" HST's that have been shot/captured (into water) and each and every one of them expanded perfectly, with the petals all folding back to the base. They are essentially twins of one another. Seems like a great round from what I can tell. VERY consistent expansion and great ballistics. Can't go wrong IMO. Groups are tighter and it has significantly less recoil than the standard 147gr HST's out of my Sig 938. A: Hi David. There is really no one "best" round for self defense. 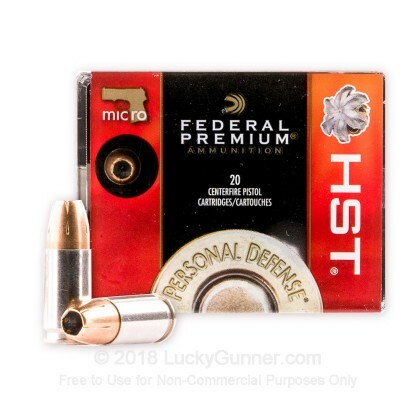 In my opinion, the HST from Federal is one of the two brands that my personal testing have lead me to choose. You certainly not going to go wrong if you choose that high quality round. The Micros are optimized for your shorter barrel. Heavier bullets and lower velocity help control recoil and while specialized propellant provides the necessary force to cycle reliably. 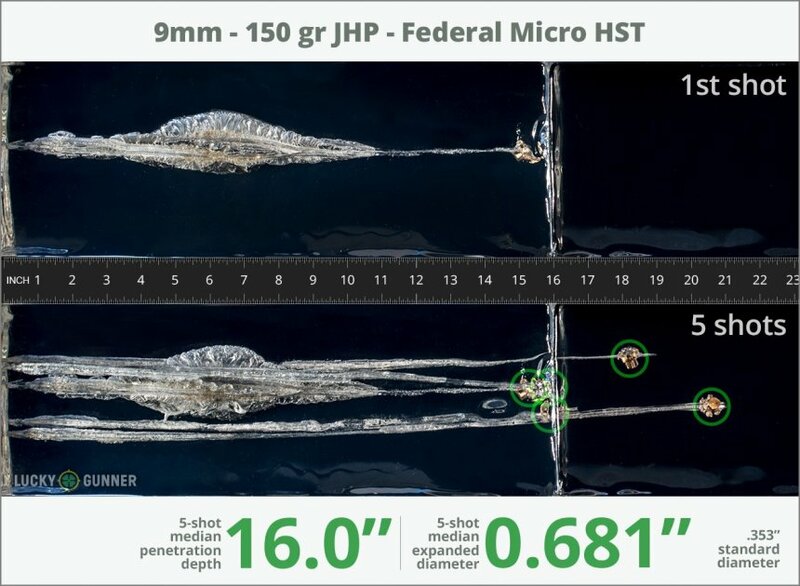 You will be very pleased with the Federal HST ammunition. Q: Could this round be considered “low flash”? A: Hello! Federal states that the HST line of ammunition is loaded with low-flash propellants. Q: At which barrel length is it better to use the 147 gr load versus this 150 gr micro load? A: Both the 147 gr and 150 gr would perform about equally out of short-barrel firearms, although the 147 gr would probably have a bit more recoil. For any firearm with a 3.5-4 inch (or greater) barrel the 147 gr bullet would probably perform a bit better.